This is an innovative new body series with commissioned photos and detailed anatomical illustrations to show children how their bodies work inside and out. They can find out how they move, eat, see, think and feel. The series looks at what goes on inside the body during everyday activities such as riding a bike, eating an apple, reading a book or doing a sum. Each book shows how the body can become ill and how to keep healthy. There are also explanations of common disabilities.Why do you eat? What happens inside you when you eat a piece of chicken, a baked potato or some fruit and vegetables. 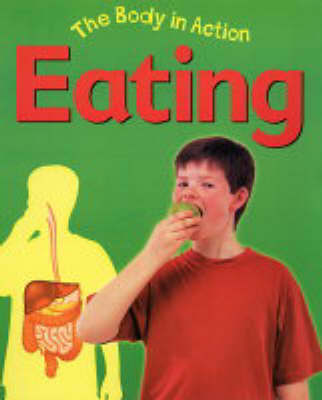 This book looks at how you smell, taste, chew, digest and get rid of food. It also explains each of the different nutrients that we need to give us energy, to grow and to be healthy. Children will learn how people are affected by allergies and how to maintain a healthy diet.